Whether we’re practicing or performing, all of us musicians are striving for excellence. But do students really know what excellent musicianship entails? In The Musician’s Way, I classify the following 7 Habits of Excellence because I’ve learned that many students lack clarity about the nature of expertise. When we embody these 7 habits in every practice session, excellence becomes our ‘default setting’ in rehearsal and on stage. Easeful music making depends on particular mental and physical habits. Mentally, we have to learn our material deeply and then, as we play or sing, grasp the sound and feel of passages before we execute them. Physically, we need to understand how graceful execution is accomplished in general and specifically with our instrument. Topics related to easeful execution appear throughout The Musician’s Way. Pages 23-34 of The Musician’s Way map out the inner workings of artistic interpretation and incorporate diverse music examples. How can we maximize accuracy? By insisting on precision from the outset of the learning process. Pages 31-33 show how we can use note grouping to imbue our phrases with irresistible forward motion. “The quality of your tone will probably have a more immediate impact on listeners than any other feature of your execution” (TMW, p. 22). We elevate our tone production skills through experimentation, self-recording, seeking feedback, and, most of all, listening perceptively. Students who are unfocused in performance typically establish lax mental habits in practice. “Be alert in the practice room that your mindful radar never goes on standby. Always direct yourself with broad awareness” (TMW, p. 194). It takes time and diligence to acquire the skills of an expert performer, and all of us deal with triumphs and stumbles as we progress. “Committing to the Creative Process” (TMW, p. 109-112) affirms that we stay positive by setting specific goals, maintaining a degree of detachment, fueling our motivation, and arming ourselves with problem-solving skills. 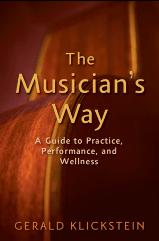 Preview The Musician’s Way at Amazon.com. Hi Chance – Thanks for the comment and appreciative words. Regarding your last sentence, rather than aiming to rid yourself of stage nerves, I encourage you to channel the excitement that naturally wells up when we perform – with regular practice, that energy can propel your artistry to new levels. Most of all, I hope that you’ll continue to embrace your love of music and be fearless about sharing it. Thanks dude. I’ve done some busking for a bit, but gonna try the stage tommorrow; a rare venture. Your website has been a good help for my preparation. I’ve played acoustic guitar for a handful of years years. Use a simple 1-2 strumming style for my folk songs I play, and I don’t use a pick. I’m very lax with my learning but enjoy just learning chords and tabs by ear, and on my harmonica too. I suppose I focus a lot more on my singing, and have learned hundreds of melodies by ear on my harmonica (not much good in performances). I enjoy it all and I hope that translates on the stage once I get rid of whatever nervousness might be there. All too often, musicians are so worried about difficulties, that they think of nothing else. 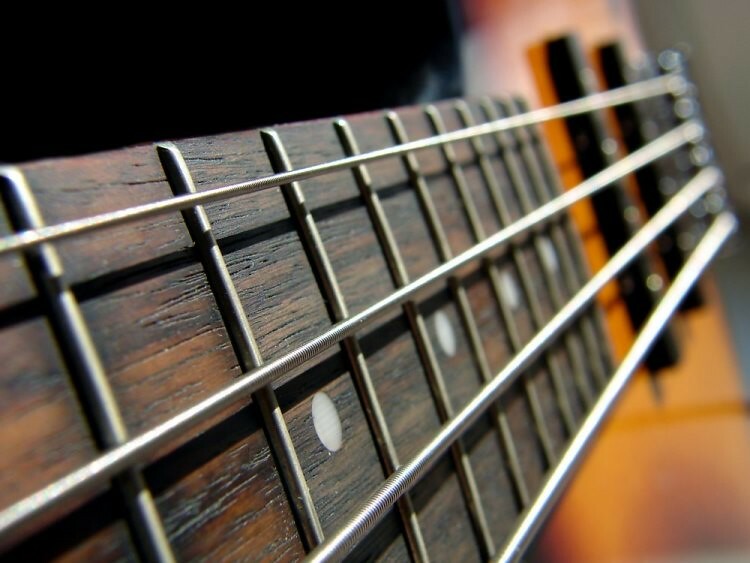 Your approach is mastery-oriented and enables musicians to enjoy success. Very inspiring. Thank you. Playing with ease is fundamental. Once a piece is easy, it will automatically become more expressive and accurate, and the rhythm will be clear and unencumbered by technical issues. First: play easy things. Often, out of habit or drive, we play constantly harder and harder music. This keeps us from experiencing learning a piece “from above” – having all the musical and technical understandings necessary to play it well. Take the time to learn a beautiful piece that is not challenging, and enjoy it. Second: when learning a passage, always ask the question: “why is this easy?” Never drill a difficult passage. You may conquer it, but it will always be high-maintenance. If the only way you can play a piece well is if you practice it for hours, how are you ever going to prepare a repertoire? Of course you can, and should, spend plenty of time preparing a piece. I’m talking about avoiding drilling a passage over and over as a main way of conquering and maintaining it. Once you can answer the question “why is this easy?” drill the passage as an excuse to drill that facilitating idea. It can be a body awareness issue (relax the right shoulder and breathe, then play the scale,) a technical solution (use the open string to shift, leave a finger down, lift a finger a bit earlier,) or a helpful mental image. Third: facilitate non-problem passages. Re-read the second step. Most people interpret it as “when learning a DIFFICULT passage, always ask the question…” Nope. Always do it. Every phase. Make it a habit. Truly difficult passages will work better if they are surrounded by easier material. It keeps you relaxed. And some of the solutions for the truly difficult parts can be used to make an easy part a breeze. If you always seek and use those solutions, they may become second nature, and difficult passages you learn a year from now will feel easy to begin with! Even if you never incorporate those solutions so completely you don’t have think about them, you will become a lot better at finding applications for each technical trick. So let’s call people who intuitively find all these solutions, and for whom every piece is easy “geniuses.” They are rare, but they are out there, and they sound good. We can sound just as good, if we strive for easy consciously. You’ll be surprised how many of your favorite players achieved the ease you enjoy listening to by working like this rather than being gifted. Forth: make an “ease-map” of the piece. Once you’re done learning a piece, map out all the easy-making tricks, and run the piece stringing those solutions together. If you find a section with no “easy-makers” find some – even if the part gives you no trouble – hat might mean just finding why the part gives you no trouble. Try it – it makes you smile every time you perform. Hi Emily – thanks for the comment. I view these 7 habits as of equal importance. That is, we should aim to embody all 7 in each moment that we practice and perform. Such a holist approach helps us avert sending too much energy in one direction at the expense of other aspects of our music making. Regarding your example, try this: As you focus in practice or on stage, experiment with using a softer focus – simultaneously breathe and release excess tension as you sense the character and sensations of upcoming musical gestures. this helps. I wonder whether these 7 habits are in order of importance? I think ease, tone should come first, then expressiveness , accuracy. but it’s so hard to be focused and at ease! I tend to overfocus and get tense.